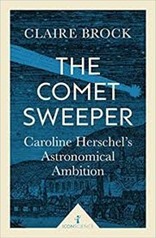 A return to women in science in this post where I review The Comet Sweeper: Caroline Herschel’s Astronomical Ambition by Claire Brock, a biography of a woman who discovered comets and nebulae and published a catalogue of astronomical objects in the later years of the 18th century. For scientists the name “Herschel” will not be unknown. Caroline Herschel’s brother William discovered Uranus, and was paid as an astronomer by King George III. Her nephew, John was also well known as a scientist. However, relatively little has been written about Caroline. 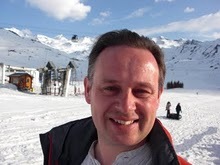 The Comet Sweeper is based substantially on the autobiographical writing of Herschel. However, she was sufficiently well-known at the time to be referenced elsewhere, and indeed later in her life was bestowed with various honours and medals for her astronomical work. Herschel was born in Hanover in 1750, her father Isaac was a musician and very much a self-taught man – something he passed on to Caroline. Anna, her mother, gets a less than sympathetic treatment from her daughter and consequently this book. For her early years Anna treated Caroline as a servant, and stopped her education as soon as it appeared it would help her leave the Herschel household in Hanover. She was finally given a means of escape when her brother, William, invited her to Bath to work in music with him in 1771. She had no previous training in music and put herself assiduously to learning what she needed to know. William Herschel was earning up to £400 per year from music lessons and the like when he invited his sister to join him. It seems that Caroline became a significant musician in her own right, at least until her brother dragged her into astronomy. This is something of a theme through the book, Caroline Herschel is clearly very capable and when given the opportunity can excel in whatever she turns her hand to. But the choices she has are limited. In the first instance her mother controls what she can do, then her brother – switching her from music to astronomy with little regard for her own wishes. In astronomy Herschel started by assisting her brother in the workshop – at the time, to get the best telescope, you built them from scratch yourself. She supported him in his observations but she also carried out observations on her own. The “sweeping” of the title is the systematic scanning of the night sky with a telescope to identify static features such as stars and nebulae but more specifically to find comets. To a degree the discovery of nebulae was incidental to the main task of finding comets, nebulae were easily confused with comets so recording their locations was an essential part of finding comets. The Herschel’s work followed, but only by a few years, the publication of Charles Messier’s first catalogue of diffuse celestial objects in 1774. As well as discovering comets and nebulae Herschel was also responsible for publishing Catalogue of Nebulae and Clusters of Stars in 1798, which built on the earlier work of Flamsteed. Ultimately this became the New General Catalogue of stars. Amateur astronomers will know this work, Messier’s catalogue provides information on the 100 or so most prominent objects whose identifying numbers are prefixed with an M- beyond this are the NGC objects – from the New General Catalogue which is the descendant of Herschel and Flamsteed’s catalogue. Herschel was honoured in her own lifetime with a gold medal from the Royal Astronomical Society, as well as honorary membership and medal from the King of Prussia, at the age of 96. She was the first woman to be published in Philosophical Transactions the journal of the Royal Society. These awards did come until quite late in her life although she was paid £50 per annum by King George III as an assistant to her brother. He was paid rather more, £200, but notably rather less than he earned as a musician. I found the broader insight that The Comet Sweeper gave into the lives of Georgian women was interesting. Women did not have formal positions within the scientific community of the time but they contributed as wives, sisters, daughters. At the time there was little in the way of formal, paid, scientific community – it was very much a gentleman’s club but there was a place for women in it although not necessarily of equal status. This was to change later in the 19th century when science became institutionalised, as a result women were excluded by, for example, not being able to receive degrees or even attend lectures at university. The Comet Sweeper is not a long book, it is readable and casts an interesting light on women in science in Georgian England and the specific contributions of Caroline Herschel.